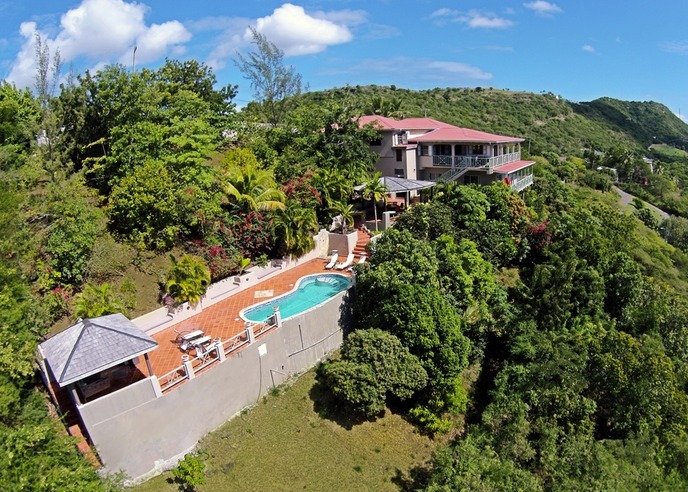 The Villa is located on the South coast of Antigua in a quiet location on top of hill overlooking the two stunning bays, known as Falmouth and English Harbor. 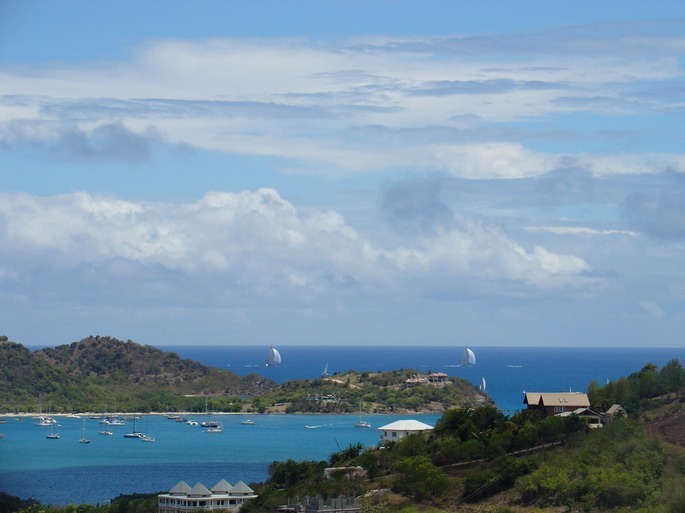 The view is not only of Antiguas amazing blue waters and green hills, but also of the mega yachts that come in and moore at the marinas in the bay. Arcavilla can be rented as a Bed&Breakfast or as a self-catering holiday Villa. It consists of 5 bedrooms around an open patio, each with ensuite bathroom in italian design, wooden ceilings and floors, free Wifi and air conditioning. The 6th room is located downstairs with a bunk bed, air conditioning, private bathroom, Wifi and mini private kitchen. In any case, you may have access to the pool at any desired time. Alberta, the Italian owner will live in one side of the house with her family and she will be happy to help you with anything you’ll need to make your holiday enjoyable. Don't worry she will never intrude on your holiday and will stay out of the way, givng you 100% privacy. Upon request it is possible to have any or all meals prepared for you from Alberta, at extra cost.